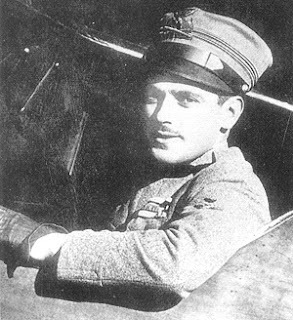 Credited with five aerial victories during the First World War, the pilot Giulio Lega was born on this day in 1892 in Florence. After the war he completed his medical studies and embarked on a long career as physician to Italy’s Chamber of Deputies. Lega had been a medical student when he was accepted by the Italian army for officer training in 1915. Because he was unusually tall, he became an ‘extended infantryman’ in the Grenadiers. He made his mark with them at the Fourth Battle of the Isonzo, for which he was awarded the War Merit Cross for valour. The following year he won a Bronze Medal for Military Valour in close-quarters combat, which was awarded to him on the battlefield. 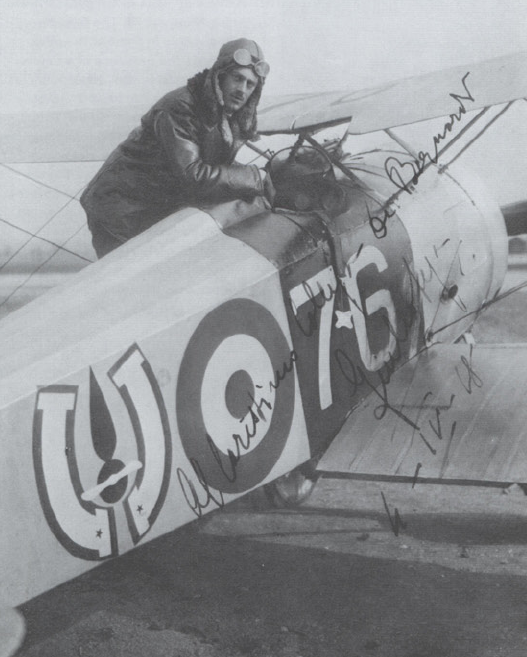 Lega volunteered to train as a pilot in 1916 and was sent to Malpensa near Milan. After gaining his licence he was sent on reconnaissance duty during which he earned a Silver Medal for Military Valour. After completing fighter pilot training he joined 76a Squadriglia and went on to fly 46 combat sorties with them. His first two victories in the air, near Col d’Asiago and over Montello, were shared with two other Italian pilots. During the last Austro-Hungarian offensive he downed a Hansa-Brandenburg C1 over Passagno single-handedly. His last two triumphs were downing an unidentified enemy over Mareno di Piave and an Albatros D111, both with pilots Silvio Scaroni and Romolo Ticconi. His final three victories earned him another Silver Medal for valour. He continued to serve as a pilot until the end of the war when he was presented with the War Cross. He then finished his medical studies, graduating from the University of Bologna in 1920 but remained in the Air Force Reserves, rising to the rank of tenente colonello. In 1931 he was appointed head of the medical service for Italy’s Chamber of Deputies, a post he held until his retirement in 1957. During World War II he was assigned to the headquarters of the Servizi Aerei Speciali. Lega was still serving as a medical consultant to the Italian parliament when he died in 1973. 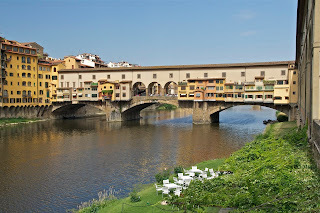 Giulio Lega is only one of many famous people born in Florence, a city so rich in history and artistic and architectural treasures that for visitors it feels like walking around an outdoor museum. 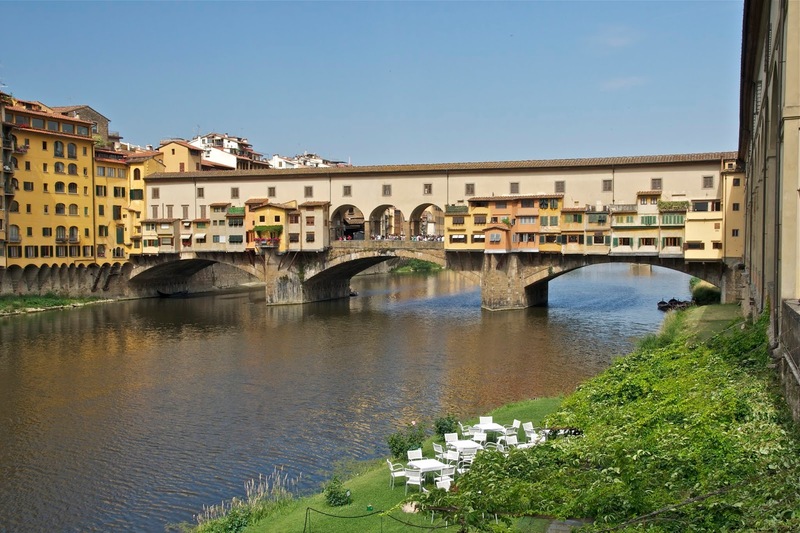 In Piazza della Signoria, an L-shaped square in the centre of the city, the 14th century Palazzo Vecchio was the seat of government. Citizens gathered in the square for public meetings and the religious leader, Girolamo Savonarola, was burned at the stake there in 1498. The piazza is filled with statues, some of them copies, commemorating major events in the city’s history. Florence’s Galleria dell’Accademia has become famous as the home of Michelangelo’s statue of David and is the second most visited museum in Italy, after the Uffizi, which is the main art gallery in Florence. 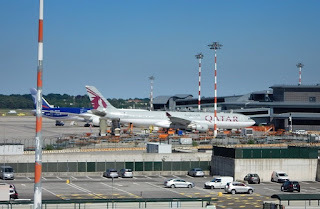 Malpensa airport started up in 1909 at Cascina Malpensa, an old farm to the northwest of Milan, where the land was used to test aircraft prototypes. During World War I it was established as a flying school for training pilots such as Giulio Lega. As an airfield used by the Germans in World War II, Malpensa was heavily bombed by the Allies, but in the 1940s the runway was repaired and flights to Brussels began. 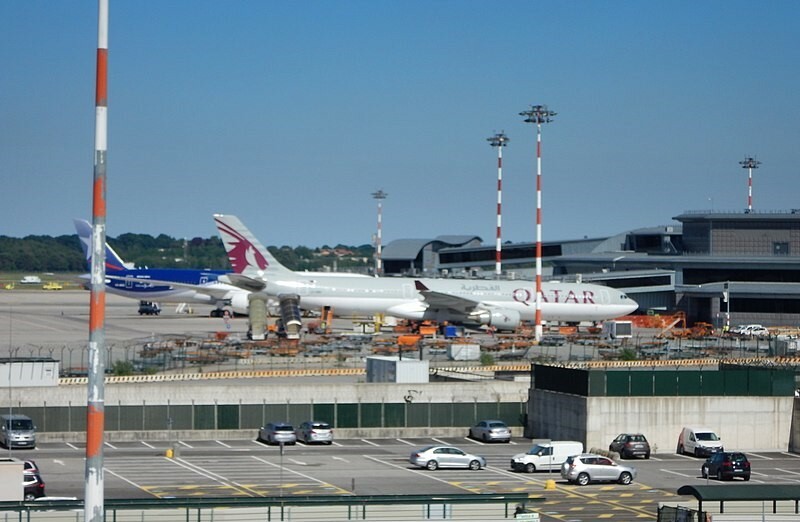 Today, Malpensa is the second busiest airport in Italy in terms of passengers, after Rome Fiumicino.